In the Central District, the Liberty Bank Building stood as a testament to the resilience of a community facing redlining and racist disinvestment. 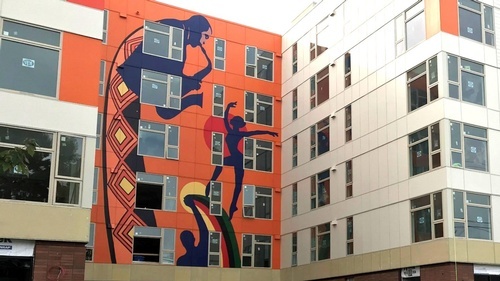 With the original building gone, a coalition of nonprofits formed to make this historic site a model of community-led development, designed to address displacement of the African American community from the Central District. Representatives from Africatown, Byrd Barr Place, Capitol Hill Housing, and the original Liberty Bank with share their inspiration for the project that they developed in partnership with the Black Community Impact-Alliance. Learn about the challenges and successes of this model of large-scale civic collaboration. At 6:30 pm, enjoy a light sampler from That Brown Girl Cooks! and view examples of the art that will be featured in the new Liberty Bank Building. The presentation starts at 7 pm.